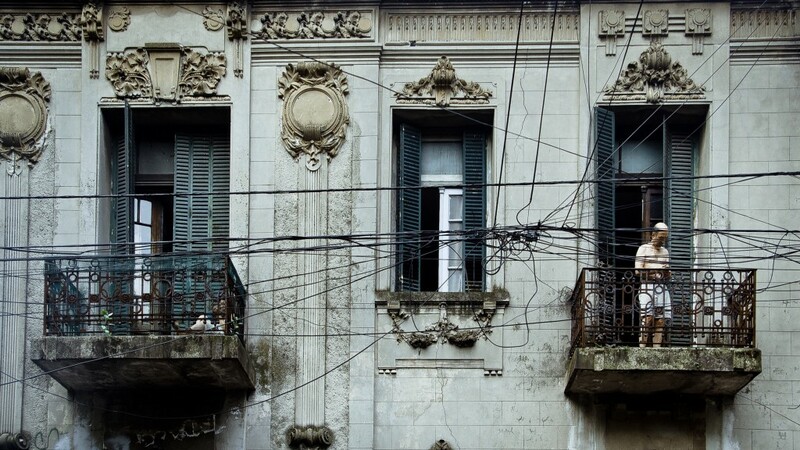 Moving to Argentina was like taking a crash course in a really messed-up type of economics. When I moved to Buenos Aires in 2014, the price of a carton of milk was 12 Argentine pesos. Yesterday, I bought a carton for 22 pesos. In under 3 years the price has almost doubled. If you haven’t lived with inflation before, it can be hard to see how it affects everyday life. In 2015, a national newspaper published two advertisements side by side. One was an ad for a car, taken from a newspaper published in 2001, and one was for a cellphone, published in 2015. In 2001, a car was worth 17,500 Argentine pesos. In 2015 a Samsung smartphone was worth 15,119 pesos, almost the same price as the car 14 years before. I remember seeing the image of the two advertisements pop up side by side on my Facebook newsfeed and thinking, “This can’t be right.” But this is Argentina’s reality, and people have learned to adjust. Here are some prices that have changed over the last few years. All prices are in pesos. My first job after I arrived in Argentina was as customer service representative for a Canadian company. I didn’t love the job, but I was paid in US dollars — a huge perk that meant I didn’t have to worry about the unstable peso. After that I worked online as an English teacher, and was also paid in dollars to my US bank account. Three months ago I started a new job as an English-language copywriter with an advertising company. I love my new job; I get paid to write, and come up with ideas, and work with interesting, creative people. I also (finally!) have health insurance. I earn a fairly competitive local salary that covers my expenses and leaves some room for savings Now I earn in Argentine pesos. My income and monthly budget are now vulnerable to inflation. I started my quest to begin budgeting better and asked my new coworkers and friends how they managed their money and how they account for inflation in their spending. Trying to build savings is different when the money in the bank loses value as time goes by. Creating a fixed budget is impossible when prices are unpredictable. When you earn a currency that is subject to constant devaluation, your savings are going to shrink every month, even if the number in the savings account keeps getting bigger. For those of us who are privileged enough to accumulate savings and aren’t forced to live paycheck to paycheck, the answer is to save in dollars. My first step to responsible finances was to open a dollar savings account. I walked into my bank branch last week with my ID, my debit card and my latest bank statement. I figured this covered the requirements for a savings account, but the teller also asked for my last pay stub, which I hadn’t received yet. One trip to HR and another trip to the bank later, and I was all set. My goal was to put $200 aside every month, but one colleague mentioned that this wasn’t always possible: as prices go up, buying power goes down, so you save less and less every month. Then salaries are adjusted for inflation, and the cycle begins again. So I’ve adjusted my goal: $300 in savings every month, and if I need money at the end of the month I will put what I converted to dollars back into pesos to move it to my checking account. That way I should be able to offset the months where my paycheck doesn’t stretch as far. The next step in my budgeting quest is to figure out what goes up and when. The short answer is everything, all the time. Some increases are scheduled while others are gradual. Every six months, my rent is scheduled to go up 10%, in September and March. I’m lucky because that’s below the current rate of inflation, and below what many people pay. Most apartments go up 30% every year or 15% every six months. Gas and electricity are also included in this figure. My cell phone plan goes up around 10–20% every six months. Each of my coworkers lives with their partner, and their budgets currently vary from 2500 to 4000 pesos a month for two people, and creep up a little every month. I’ve decided to start my food budget at 2,000 a month and give myself a 500 peso margin for increases. Quetzal, one of my favorite neighborhood bars, increased its prices so much last year that I can no longer reasonably afford to drink there; conversely, pricey establishments that don’t increase their prices as fast begin to seem doable. I also keep an eye on the news and other sources that catalogue expected increases, and keep a cushion in my bank account for unexpected expenses. Every few months, salaries are adjusted for inflation, if labor unions get their way. In theory, everything costs more but your salary goes up to match, so your spending power remains the same. In reality, salary increases are negotiated between our unions and the government. I haven’t had a salary increase since I began my new job. There will be an adjustment starting at the end of March, though I don’t know what the adjustment will be yet. I assumed that adjustments match the pace of inflation, and mentioned this last week to my new colleagues. “That’s not how it works,” they explained. Our adjustments will always be lower than the inflation rate, as the government tries to keep inflation down. If salaries increase too much, prices go up, and then inflation rises, in a never-ending cycle. So despite the fact that I now get regular salary adjustments, my buying power will creep down unless I negotiate a performance raise. If inflation outpaces my salary, my salary is decreasing the longer I work at this company. No matter how responsibly I try to do my finances, inflation makes my situation precarious. It’s impossible to anticipate everything. The comforting part of my situation is that at least literally every other person in Argentina is in the same boat: if most Argentines manage to make it work, I should be able to figure it out too. I think.